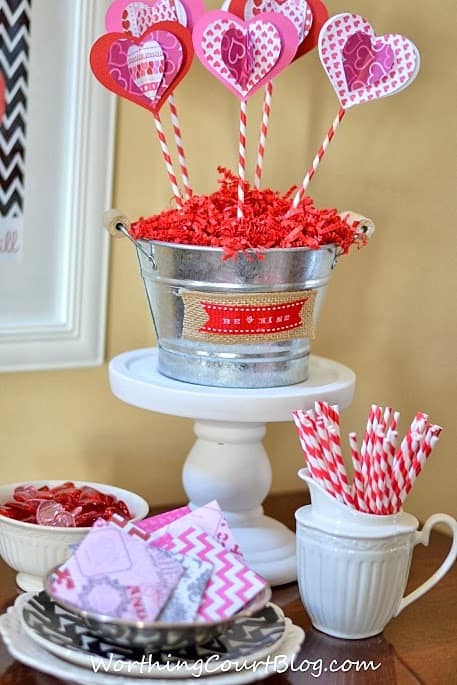 One of the items in the Valentine vignette in my foyer was a bowl containing mini Valentine’s. You might remember me saying that it is my intention to share these little snippets of love with everyone who stops by for a visit during this time of year. Click HERE to see the entire vignette and a tablescape, if you missed it. I wanted to share how you can make some of these for yourself. This is a project that the kiddos can certainly participate in. In fact, they would probably love to make some for their own friends. There once was a little girl who struggled at home. She struggled to gain her parents attention and to feel loved. Her parents were doing the best that they could, but they had issues of their own so the little girl mostly felt left out and very lonely. All of that would change every February 14th though, when the annual Day of Love would roll around. That was the day when the little girl could count on being told she was loved over and over – even if it was only on a paper Valentine. There was much anticipation leading up to that special day every year. And there were many preparations. Old shoe boxes had to be gathered and decorated. Candy had to be bought. And best of all, the perfect Valentine’s with the perfect message of love had to be found. And then that special day would finally arrive! 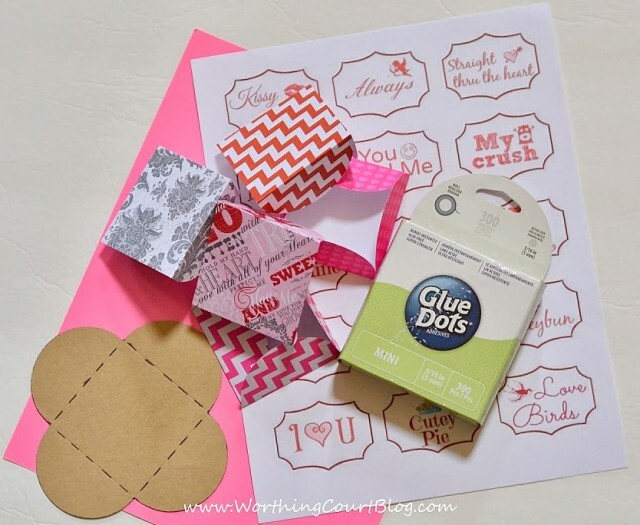 The little girl would watch all day to see who would stuff messages of love into her specially decorated box that was placed just-so on her desk at school. And she would smile each and every time someone paused to leave her a card. Finally, late in the afternoon, the teacher would pour the punch and pass out the cupcakes so that everyone could celebrate loving one another. And the little girl would smile and feel loved with every Valentine that she opened. It was a very special day. You probably guessed that the little girl in the story is me. Valentine’s Day was one of my favorite days of the year when I was growing up. 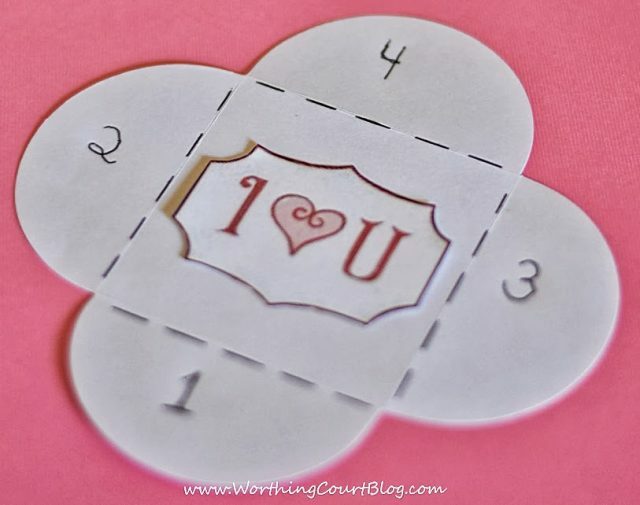 I had forgotten a lot of those feelings until I was making these cute little mini Valentine’s. I was transported right back to a happy part of my childhood. These couldn’t be easier to make. 1. 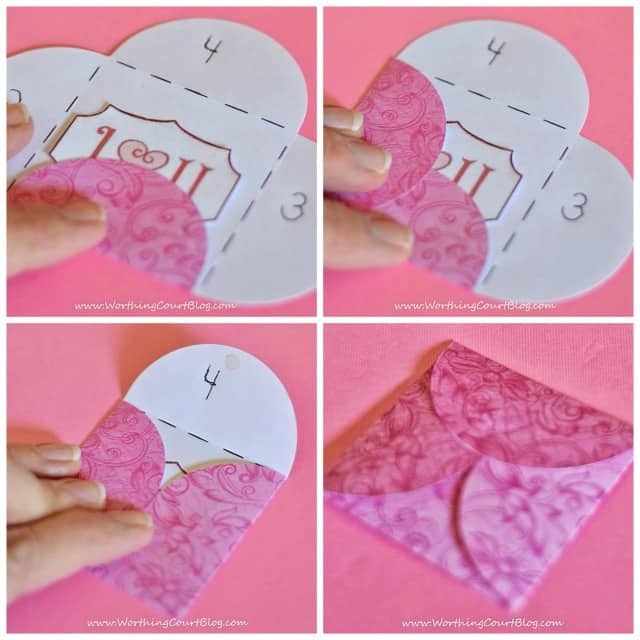 Print and cut out the envelope template. Click HERE to download the template. 2. 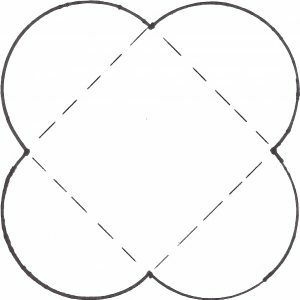 On a piece of scrapbook paper, trace around the edges of the template and cut it out. The dotted lines are fold lines. You can mark them if you choose to, but basically you’re just going to be folding a flap in at each set of corners. 3. 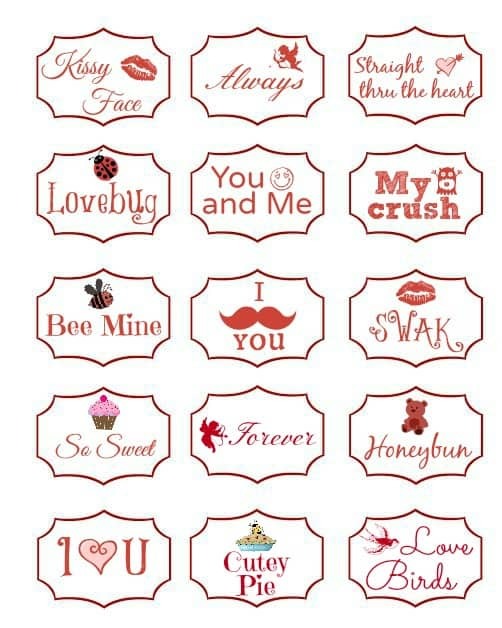 Print out the mini Valentine messages on a piece of white 8 1/2 x 11 cardstock. Cut each message out. Click HERE to download the printout. 4. 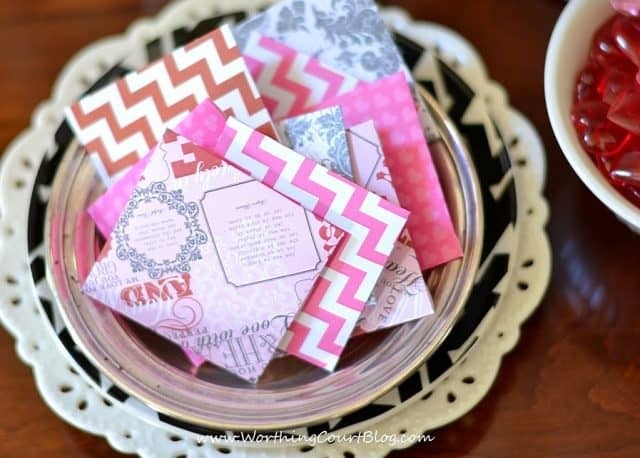 Lay one of the mini messages on top of the wrong side of the scrapbook paper envelope cutout. I’ve drawn a dotted line along the fold lines and have numbered each flap to show the order in which the flaps should be folded in. 5. Add one glue dot in the middle of flap #4. Then proceed to fold each flap in, in the order they are numbered. Press down when folding flap #4 to “seal” the envelope. And there you have it! 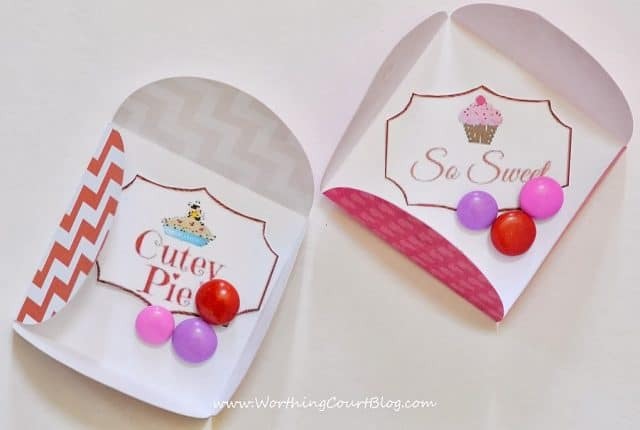 Adorable little envelopes filled with love for that special someone. Oh – and that little girl? She grew up and was blessed with a husband who shows his love for her a thousand ways every day. She was blessed too with children and stepchildren and grandchildren and friends to lavish her pent up love on. And they in return have filled her heart beyond measure. So while you’re celebrating this season of love, just remember – you never know who’s heart you may be touching. Loved this idea and went to download and print. All I got was a square box. Can you give directions on how to get them. Thanks so much for sharing your ideas. Hi Linda. I’m sorry you’re having problems. Both of the links to the printouts are working ok for me. When you click where it says HERE, it should take you straight to a screen that has an image of the printout on it. There should be an arrow in the upper right hand corner that you click on to download the printable to your computer. Would you mind trying it one more time? If it still doesn’t work for you, I’d be glad to email the images directly to you.